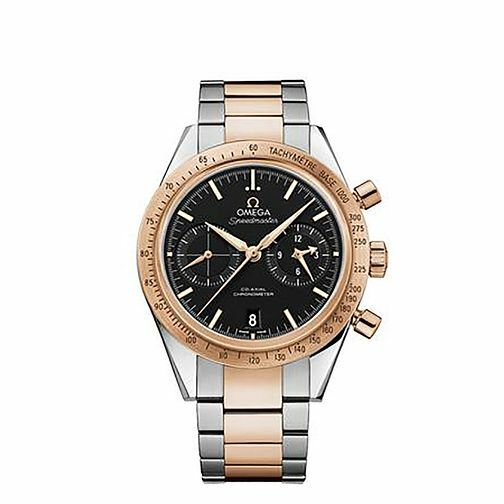 Men's Omega Speedmaster '57, styled with an elegant two colour stainless steel bracelet and case. Featuring co-axial chronometer, smart black dial with date window and gold tone baton markers and hands, along with tachymeter bezel. A refined yet sporty timepiece, expertly crafted for the sophisticated modern man.